WINNIE-family has a unique folded TIR design which substantially reduces height compared to traditional collimating optical designs. 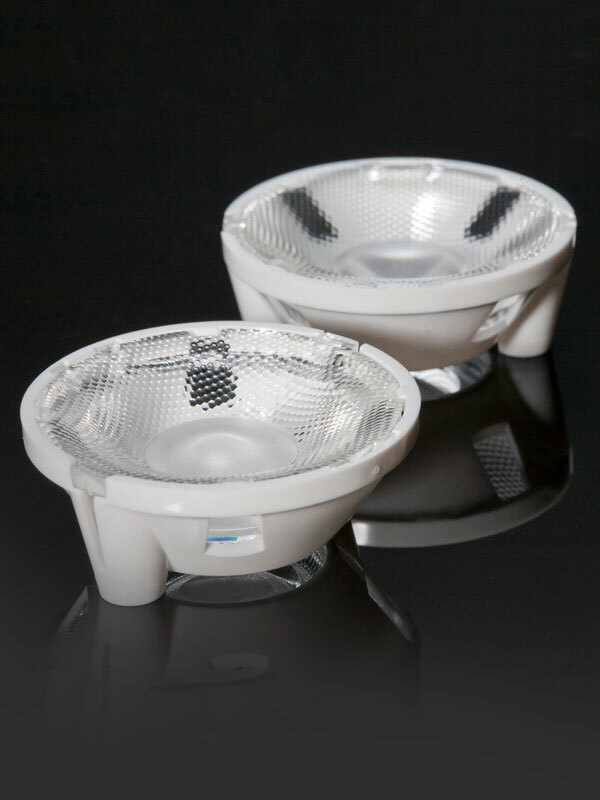 WINNIE features a convenient MR16 size for a range of luminaires or retrofit designs and can be used with heat sinks pre-drilled for Zhaga compatible light engines. Hyper-reflective white PC holders and optical grade PMMA gives exceptional optical efficiency (close to 90%). Compatible with LEDiL HEKLA with Holder C as well as 3rd party connectors from Bender+Wirth.